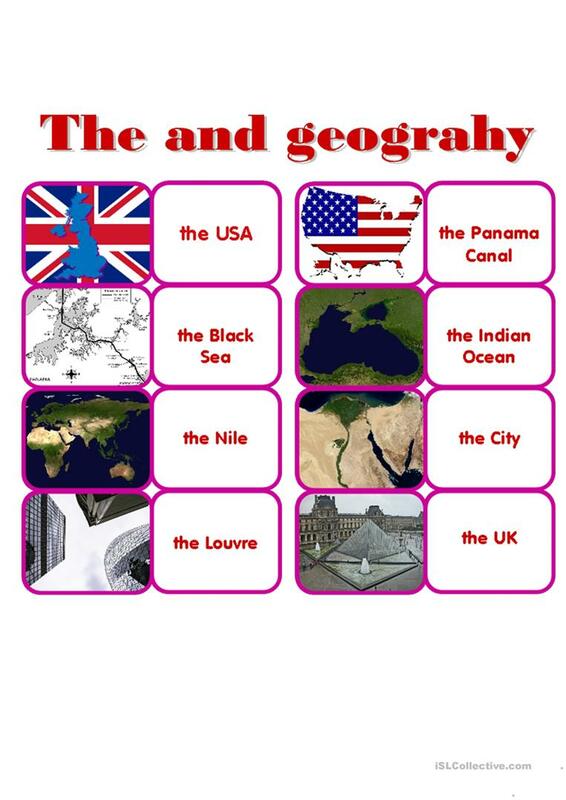 Definite article with Geographical Names. Domino. The present downloadable handout was created for high school students at Intermediate (B1) level. It is great for revising Articles and Articles: definite article in English, and is a valuable material for enhancing your learners' Reading skills. It is focused on the topic and words of Countries.